Turkey on Monday vowed that nothing will stay secret in the case of the murder of Saudi journalist Jamal Khashoggi at the kingdom's consulate in Istanbul, adding Ankara did not want relations with Riyadh to be damaged. "From the start, the line of our President (Recep Tayyip Erdogan) has been clear. Nothing will remain secret in this case," presidential spokesman Ibrahim Kalin told reporters in Ankara. "This entire case will be explored from the legal point of view. Shedding light on all the aspects is our final aim and responsibility," he said. 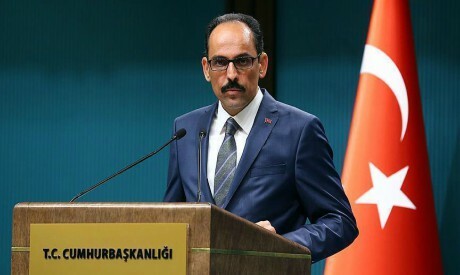 Kalin's comments came ahead of a hugely anticipated address to ruling party lawmakers by Erdogan on Tuesday which the president has vowed will reveal the "naked truth" about the Khashoggi case. Erdogan has so far stopped short of directly pointing the finger at Riyadh. Analysts say he preferred to authorise the leak of incriminating information to pro-government media to pressure the kingdom. Kalin emphasised that Erdogan has spoken by telephone twice to King Salman. But he did not mention powerful Crown Prince Mohammed bin Salman who faces a stream of allegations -- denied by Riyadh -- that he ordered the killing of Khashoggi. The spokesman described Saudi Arabia as an "important country, a brotherly and friendly country". He added: "We have many partnerships and we would not want these to be damaged. Consequently, there is a great responsibility on the Saudi authorities to shed light on the case."